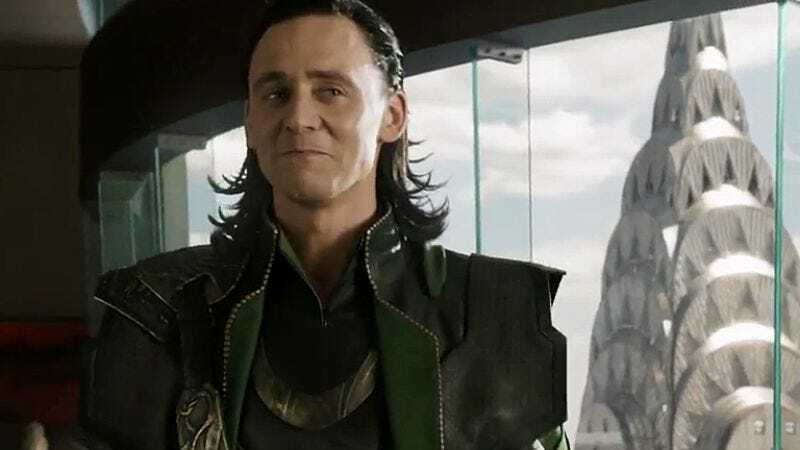 In more confirmation that Tom Hiddleston commands an army of uniquely passionate followers on the Internet (confirmation that, for once, does not involve creepy fan fiction), a Change.org campaign aimed at getting the character Loki his own movie is nearing its goal of 20,000 signatures, a number that should at least force Marvel executives to say, “Oh, that’s nice,” before returning to plotting their multibillion-dollar franchises on their own. In the meantime, Tom Hiddleston fans will just have to content themselves with Loki as a Thor: The Dark World supporting character—which, some might argue, is where not being obligated to undergo the redemptive arc of a standalone film is what enables him to be so interesting, and that forcing him to carry the lead in that way would actually be the opposite of “freeing” him. Still, let them have their moment. As we alluded to up top, this is definitely the least objectionable method of Tom Hiddleston fans contenting themselves.